School holidays are always tough on the bank account, but there are so many free family friendly things to do in Perth to fill in the days and get the kids out of the house. All these events, parks and activities are free (or entry by donation). Don't forget to pack something to eat, drink and snack on to save you more and make a picnic part of the adventure. Enjoy! 1. 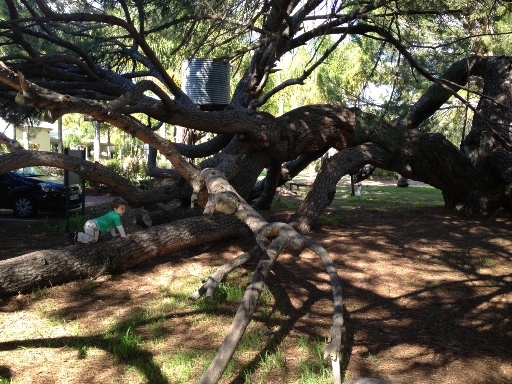 Climb the awesome tree between Mash Brewery and Oasis Super Golf on West Swan Road. 2. 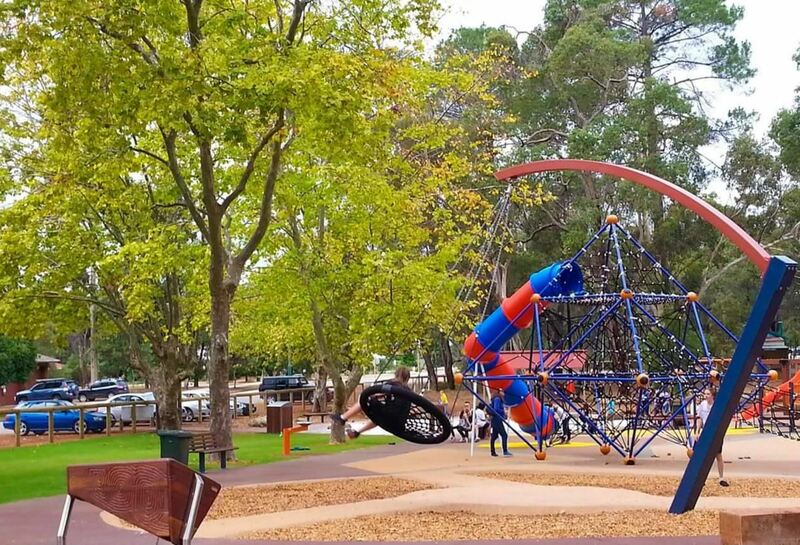 Take a break from the wineries and enjoy a play at one of the Swan Valley and surrounds many playgrounds. There's a playground for all ages, for the kids to stretch their legs and play before you get back on with exploring the Swan Valley. 4. Enjoy a picnic and explore Whiteman Park. Entry to the park is free and lots of the attractions are free too including the huge playground, and Children's Forest. 5. While you are at Whiteman Park pay a visit to the Revolutions Museum. They have fun activities included in your donation entry in the school holidays. 6. If it's between October and the end of the April holidays bring your bathers and keep cool in the Mini Water Playground at Whiteman Park. 7. Take on a family challenge and complete the Great Valley Rally. This is a great way to explore the Swan Valley and discover something new. 8. Get another chocolate fix at Whistlers Chocolate. Enjoy your free chocolate samples, check out the massive chocolate zoo display and let the kids run around in the huge backyard with sandpit, blackboard and nature based play. 9. Let the sampling continue at House of Honey. Taste honey and honey lollies, and try some of the honey body products too. 10. Follow the trail and find all the Fairy Doors located in the Ellenbrook and surrounds area. 12. 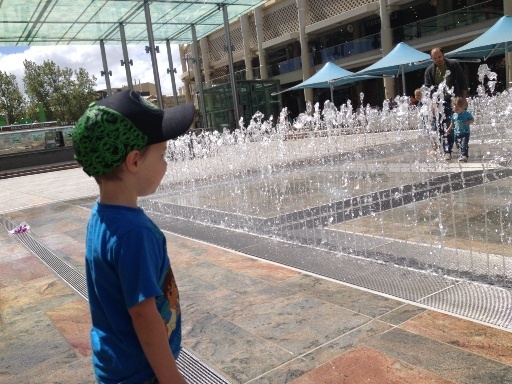 Whenever you head into the city take some spare clothes, the kids won't be able to resist the Water Labyrinth in Forrest Place. 13. Catch a family flick in the Free Flicks for Kids series Saturday afternoons at the Northbridge Piazza (September to May). Find the Free Flicks for Kids movie schedule here. 16. Splash at the free water playground, play and explore at Hyde Park North Perth. Have a close look in the lake and see if you can spot and oblong turtle or two. (Water Playground runs Nov - late March). 17. Climb to the top of the fort and look out over Elizabeth Quay at the Island Playground. Spare clothes recommended, as this playground includes water play. You can also keep cool at BHP Water Park. 18. Head up to The Story Place a the WA State Library in the Perth Cultural Centre to read a book, or join in Rhyme or Story Time. Check out the pop up WA Museum Discovery Zone during the school holidays. 19. Ivey Watson Playground in Kings Park is a little kids play paradise. It's mostly fenced with lots of grassed area for picnicking (or Sticky Beaks Cafe is within the park if you want to treat yourself to a coffee and something to eat or grab an icecream for the kids). 20. 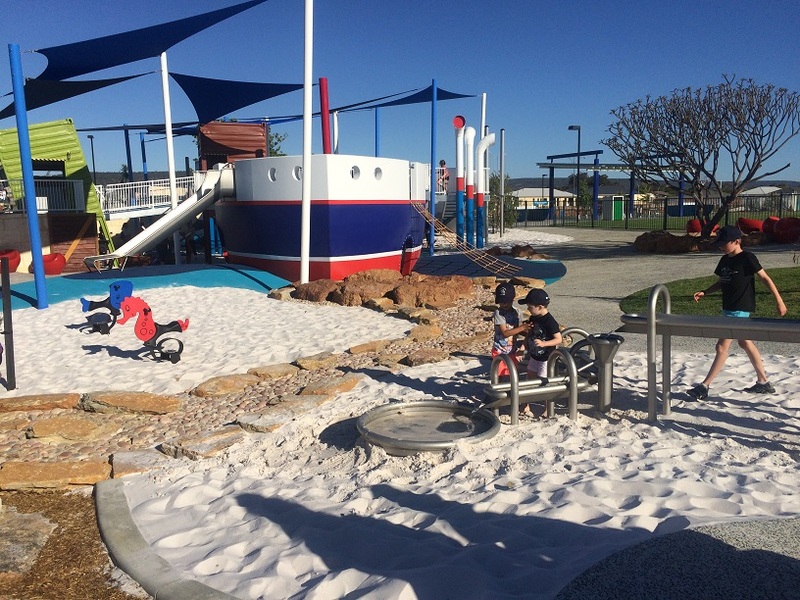 For the bigger kids Synergy Parkland Kings Park is a super fun place to play, with prehistoric creatures throughout the park to learn about and climb on, Lycopod Island Playground and the Arthur Fairfall Playground, the kids will love exploring and playing for hours here. 21. Walk through the treetops along the Lotterywest Federation Walkway Kings Park. 22. Climb to the top of DNA Tower Kings Park and check out the amazing coastal and city views. 23. 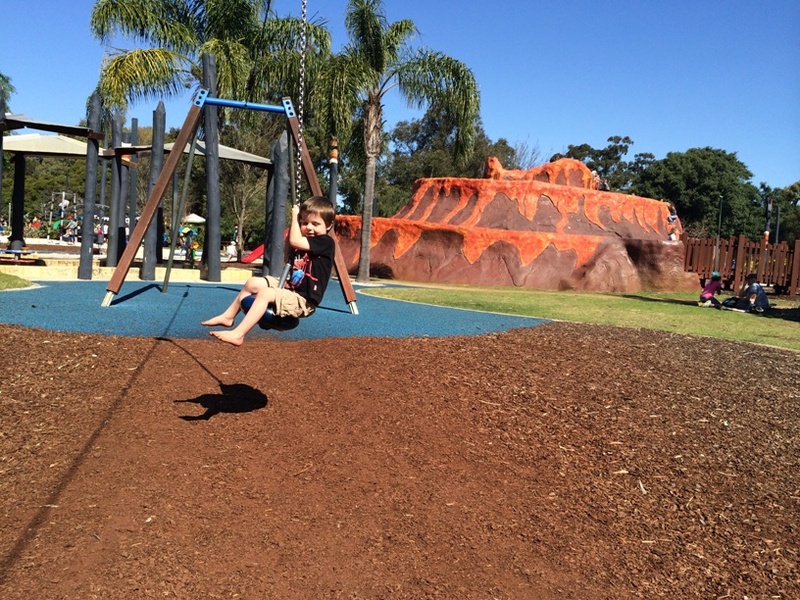 If it's adventure play you are after, head to Variety Place in Kings Park. Kids can climb through tunnels and up to the top of the fort or head to Rio Tinto Naturescape and check out the Stage 2 upgrade play features. 24. 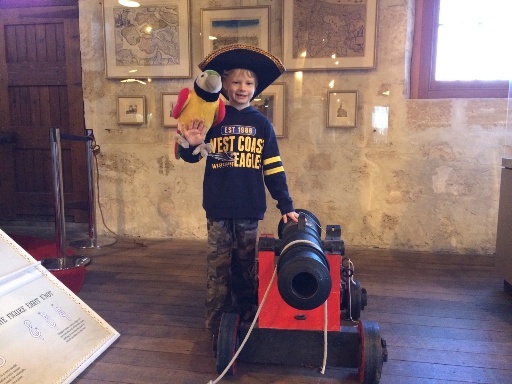 Explore the shipwreck exhibits, dress up like a pirate, hold a cannon ball and more at the Shipwreck Galleries Fremantle. Entry is by donation. 25. Climb to the top of the climbing frame and play at the beautiful Esplanade Park alongside the Fremantle Fishing Boat Harbour. 28. The Fremantle Roundhouse is Fremantle's oldest public building. It's been used as a jail and as accommodation for the Water Police. Now you can enter by donation and learn all about it's history. The cannon is fired at 1pm daily and you may even be able to trigger the shot. 29. Bathers Beach is a beautiful spot for a swim on a hot day and is also a nice walk through the Kidigo Art Precinct where you can often find works of art around the art house. You can walk up to The Fremantle Roundhouse along the Bathers Beach Foreshore walk path. 30. Take advantage of Fremantle free bike hire at The Fremantle Visitors Centre in Kings Square and E Bikes R Us at the E Shed on Victoria Quay and explore Fremantle on two wheels. 31. Picnic at the Construction Camp Hub Picnic Area looking up at the beautiful Mundaring Weir. Walk off your picnic lunch with a walk across the Spillway Bridge to check out the Old Pump Station and wander back across the top of the weir. 32. Play the day away at the Hills best playground and park, Sculpture Park. 34. Wander through the dinosaurs and other creatures and characters in the gardens at The Bird and Fish Place Wattle Grove. 35. Play like a pirate and explore like an adventurer at Woodbridge Riverside Park. It's fully fenced and features a big wooden pirate ship, tunnels, flying fox and lots of nature based and adventure play. 36. 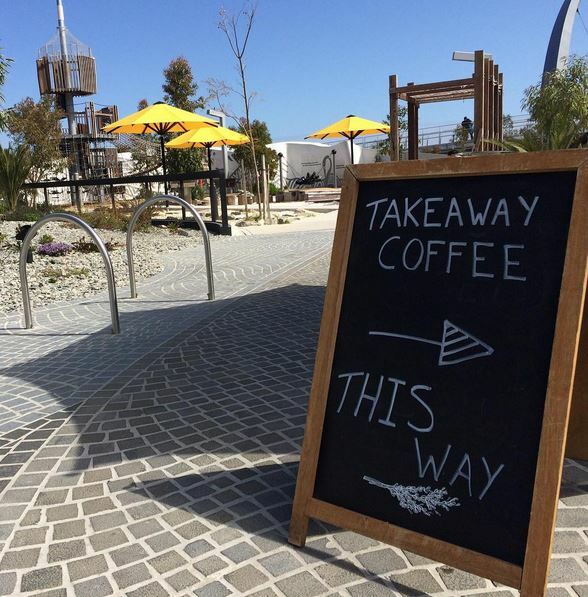 Pack lunch or a snack and sit back and watch the planes take off and land at the Perth Airport Viewing Platform. 37. Pack your kayaks or canoes and head to Lake Leschenaultia Chidlow. Enjoy a day out of swimming, play at the playground and take in a nature and wildflower walk. Entry to Lake Leschenaultia is free, and a small fee can be paid to camp here also. 38. 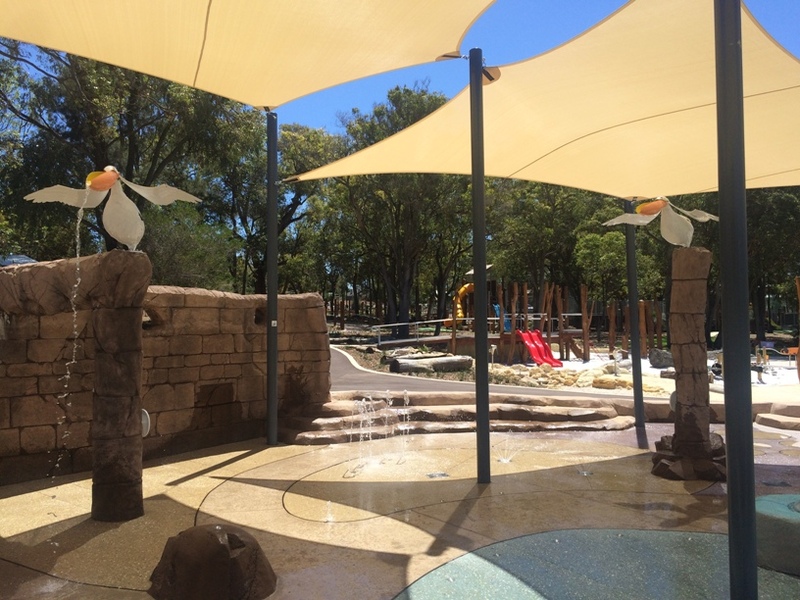 Keep the kids cool at Rainbow Waters Ellenbrook Water Playground. This runs during the warmer months of the year and features zero depth water play with cannons, sprays and tipping buckets. 39. Climb a volcano, ride the flying fox and dodge the water spouts in the jungle at the big, fully fenced Faulkner "Volcano" Park Belmont. 40. Give the kids an outdoor "tech" fix at the huge Robot Park Piara Waters. 41. Watch the planes and helicopters take off and land from the picnic area at Jandakot Aiport. 42. Do it all at the amazing Kwinana Adventure Park with water playground that runs all year round, trampolines, flying fox, tree walk, skate park and more. 43. Climb to the top of the 7m tall jungle climb, bounce on the trampolines, ride at the skate park or on the bmx track at Wellard Adventure Playground. 44. All abard the SS Shipwreck for fun on the high seas at the ship themed playground. Enjoy the flying fox and water play on the mainland too. A visit to Shipwreck Park Hilbert is a must when cruising these parts. 45. 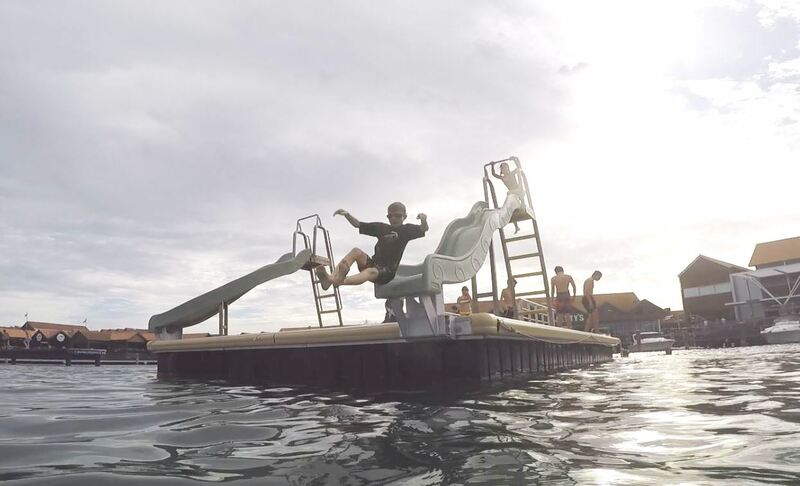 Swim out to the pontoon and slide into the calm waters of the Hillarys Boat Harbour all year round. 46. 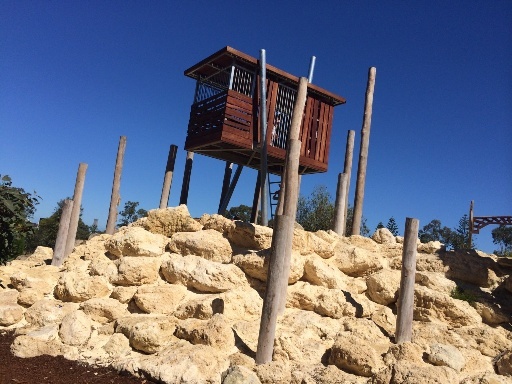 Climb to new heights at Eden Beach Foreshore Playground. The kids will be challenged by the 3 storey climb and slide down and long ropes challenge play equipment. 47. Head a little further north to Yanchep and climb and slide down the steps and slide built into the side of the cliff at Campground Playground or ride the BMX track and play at Mariala Vista Park Jindalee. 48. Play at the two level Jungle Gym in the Karrinyup Shoppping Centre Food Court daily from 12-5pm. 49. Play, skateboard and rockclimb at the Scarborough Whale Playground and Snakepit. 50. Play and swim at Dolphin Quay. Swim out to the pontoon and slide into the calm waters, wander over the bridge to look out over Dolphin Quay and play at Keith Holmes Reserve. 51. Climb to the top of the 8m tall windmill, ride the giant pig slide and explore this huge farm theme adventure playground at Adventurescape Austin Lake, South Yunderup. 52. Explore the huge Quarry Adventure Park Meadow Spring. This is not just a park but a day of adventure at this park built within an old quarry with big climb up the cliff face and slide down.